People who work with books know the end of the year brings a slew of Best books of the year lists. Publishers Weekly does its list early, and the New York Times does a long list of notables. One of my favorite lists to contribute to and read is an idiosyncratic list of PW editors’ favorite books. As in, what we really liked. It’s a revelation: book revelation, self-revelation, revelation from colleagues. It’s also a freedom from obligation to follow what’s trending and what should be talked about and instead permission to follow the heart. 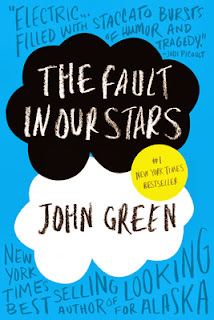 I picked John Green’s The Fault in Our Stars because it swept me away and it helped me forget that my sister was dying as I read it. Thinking about my reaction reminded me about the roots of my love for books. In seventh grade I wrote a poem Books Are Our Friends and I won a prize for it: a book. Of course. On occasions when I have talked to students about what I do and sought to encourage reading, I have told them that if they like to read, they will never be lonely. I still think books are magic carpets for the imagination, Netflix and HBO notwithstanding. resonated on a lot of levels for me. Anything that echoes Shakespeare piques my interest. The author is also profoundly voicey; you get the picture pretty quickly. Green’s background as a hospital chaplain was another lure. As a young adult book, it was more straightforward and offered refuge from existential irony and artsy explorations of postmodern specialized subcultures and gave a chance to look at human-condition, no-escape issues like mortality. And the pages almost turned themselves, even though I was reading it on my Kindle.